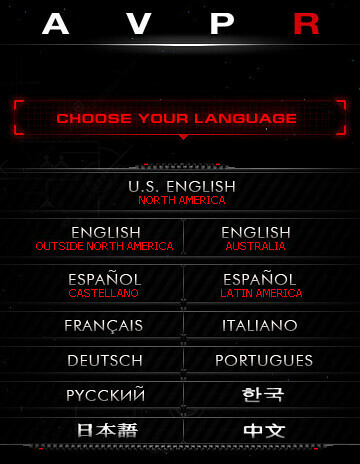 Looking at the Aliens vs Predator: Requiem site tonight it was interesting to see that there are three types of English: North American, Outside North American, and Australian. So what is the difference? Should we feel privileged, or outcasts? Examining the different English options I found the major difference for the ‘English Australia‘ sub site is the addition of an intermediary age verification page. I presume that has to do with some legislation in Australia that prohibits access to R rated sites for minors. Hence you need to verify your age. The thing that annoys me though is: If you are going to do a site specific for Australia you might like to get the date format correct on the age verification form. Australia uses the international date format day/month/year. 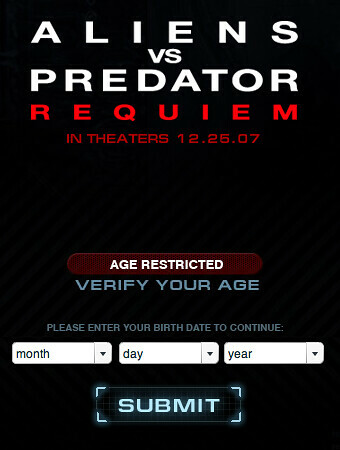 This entry was posted in Movies, Web sites and tagged Aliens, AVP, AVPR, date format, English, movie, Predator, website. Bookmark the permalink.